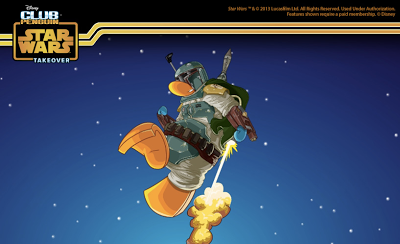 Club Penguin Cheats by Mimo777 Club Penguin Cheats by Mimo777: New iPad-Exclusive Star Wars Takeover Costume! So we all know Club Penguin released the awesome trailer for the Star Wars Takeover party! And lots of us have asked for sneak peeks! So here's one for YOU! 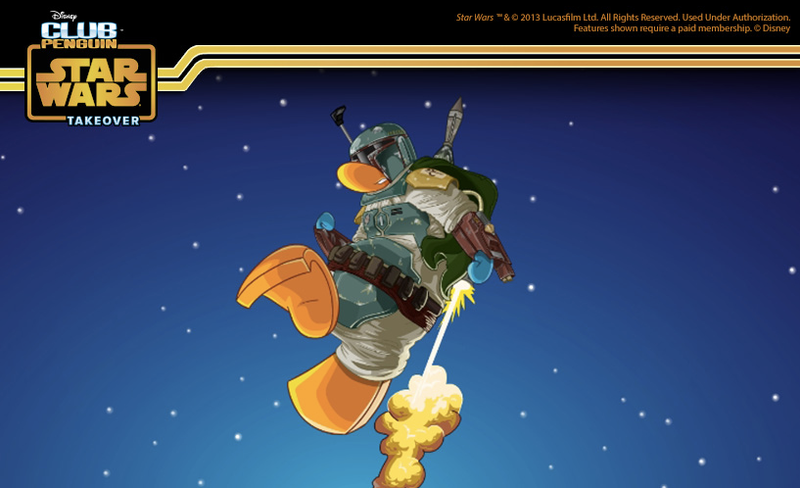 Club Penguin is releasing a Boba Fett costume... OMG, what!? EXCLUSIVELY on the My Penguin iPad app! Members with the app will be able to pick up the new costume with the new My Penguin app update. I am definitely going to get this one! You!? There will be plenty of other awesome character costumes at the Takeover, too. So stay tuned for more info there! I wanna know who your ALL TIME favorite Star Wars character is! I'e gotta say Darth Vader's my fave. What's yours!? BOBA FETT. I AM SO BUMMED. I DON'T HAVE AN IPAD. GRR. I wish they had this app on a Google Nexus. Hey Mimo! It's amazing how Club Penguin has changed! From typing errors (Do you want to pick up a pairs of ice skates?) to puffles digging treasure! I don't have an Ipad but hopefully they can make this app downloadable for tablets and android! BOO RPF! BOO RPF! BOO RPF!